To say that Tarique Plummer is a polarizing figure is probably underselling it. People generally fall into two camps when it comes to the current chair & CGO of the Students’ Union: staunch support or fervent opposition. Rightly so, I should say, as — depending on who you are and where you stand — Plummer could seem like either a man on a mission of self-interest or a man with a vision for the student body. Upon announcing his intention to run for presidency at a board meeting this past summer, Plummer received criticism from various board members. “I understand that part of my job as chair and CGO of the board is to run the elections process,” Plummer said of potential conflicts of interest that might arise in the campaign process. “The board’s reception was not the best; people were angry, which I’m still trying to understand because the constitution encourages all students to exercise their right to run for office, so I’m doing nothing wrong,” Plummer said. In the previous year, a clause was added to the constitution that stated the chair and CGO could not run for president, but according to Plummer and the resulting discussion, this was not a constitutional clause, as it is clearly stated that any undergraduate student can run for Students’ Union president and CEO. For Plummer, announcing his intention when he did was crucial. That very meeting in which Plummer announced his intentions came to a stand still and, consequently, the decision was made to silence the gallery — which was put forward by fellow candidate, Idris Omar Hassan and supported by Plummer. The silencing of the gallery has been a contentious issue for both members of the board and members of the student body and, as anyone who follows @ElxnWatchWLU on Twitter will note, it has been a point that is frequently brought up to discredit Plummer as a candidate for president. Additionally, some have pointed to Plummer’s attendance to board meetings when he was a director of the board. “In our student circle, we should put academics first and then anything else comes afterwards,” he said. “I don’t discourage people asking that question … I’m an individual who just recognized that, as a student, I’m here first and foremost for my degree,” Plummer said. Plummer was also quick to note the fact that, that very same year, he was also named the Students’ Union coordinator of the year. Ultimately, as the potential only returning board member campaigning, Plummer feels that his experience as chair and CGO, and with the Students’ Union more generally, should speak for itself. 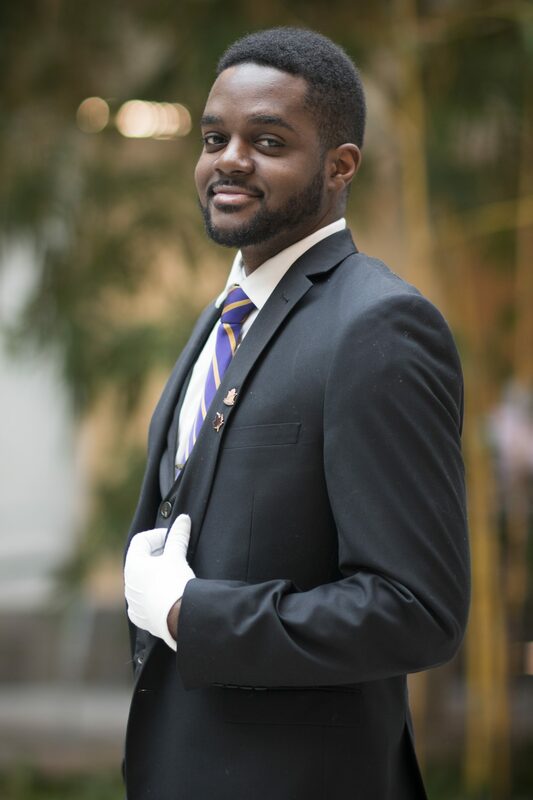 “I love the policy and governance and the overall process of it all but, based on my experience as CGO, I have an understanding of what students need and I have a vision for the student body,” Plummer said. Jan. 24 Update: An earlier draft of this article stated that Plummer put forward a motion to silence the gallery, when this decision was actually motioned by Idris Omar Hassan.